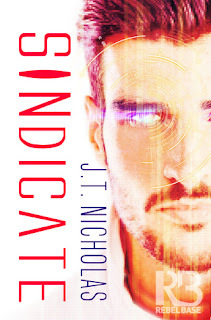 SINdicate by J.T. Nicholas is a highly recommended second book in the New Lyons Sequence. This is definitely the second book in the series and is a continuation of the story started in the first book. Sometimes it doesn't matter if you read a series out of order or start in the middle. With the first two books of the New Lyons books, reading them in order matters a great deal. Until the truth was revealed, Walton Biogenics claimed the Synths were manufactured to look human, but were "artificial" humans. Jason Campbell, former New Lyons Detective, discovered the truth and now is fighting for their rights. "Nearly a month since we had ripped off the veil covering the ugly truth that synthetics were not unthinking, unfeeling things, but as much people as any of the naturally born. Nearly a month, and for synthetics, things had gotten worse. Much worse. It wasn’t unexpected. Silas had predicted the reaction from society at large when we shone a spotlight on the truth that everyone suspected but no one seemed willing to admit..... We’d given the world an ultimatum: give synthetics rights, or be prepared to have all the little secrets that they had gathered in their decades of near-invisible servitude released to the public." 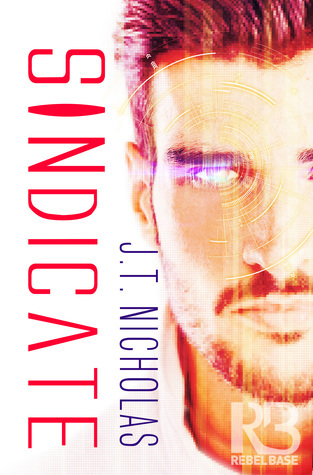 As with SINthetic, the premise of SINdicate is engaging, well-written, and continues to hold your attention from beginning to end. Nicholas again has planned out his plot carefully to keep the action moving and hold your attention. Those who appreciate martial arts and fighting are again rewarded with some well crafted and intricately described fight scenes. It was great to see a couple characters from the first book back in the second. My criticisms of the first book continues with this one: at 180 pages the book is too short and the ending was rather abrupt. Early information had this second in the series as being almost twice as long as this, which makes me wonder if the series is being spread out over even more books or if it was edited down to this much shorter length. I have to admit that I am tiring of stories being spread out over several books for the sole purpose of creating a series. Again, there is something to be said in getting the whole story or a larger chunk of it quickly.